Today’s restaurants don’t look like they used to. 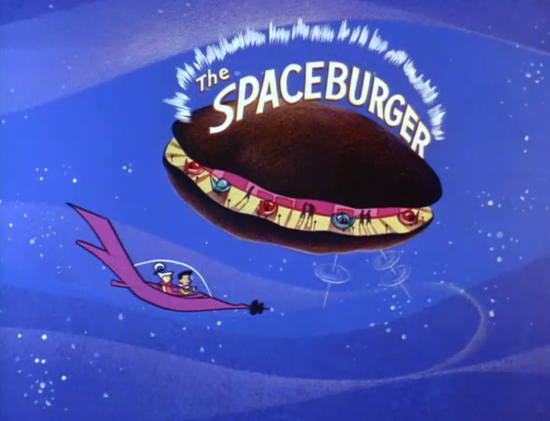 No, they’re not suddenly floating in space like a burger bar in the Jetsons. But, if they eat out on the regular, diners run a good chance of encountering a digitized POS. That would have seemed positively space age even a decade ago. Both customers and employees alike navigating through their days and nights on their phones. This means that mobile technology is fast becoming a fixture of the restaurant space. As such, it’s a smart idea. And, really, good business and good management to incorporate mobile technology into your restaurant workplace. Still, with so much excitement, it can be difficult to choose. Which trends are hot today, gone tomorrow, and which are worth investing in? Let’s take a look at 4 trends you’ll want to pay attention to. Customers in the year 2016 use their smartphones as a gateway for doing just about everything, including ordering and paying for their food. But the real story is a little more complex than just that. Mobile ordering. When done right, mobile ordering is a great way to create a frictionless experience for customers. Make it easy for customers to login and find menus and order online or in an app. Remember an easy way to add options and express checkout. That way you’ll not only improve the ordering experience, but also increase the amount each customer orders. The excellent Taco Bell app, for example, experiences app orders that are 20% higher on average when compared to their in-store counterparts, according to a National Restaurant Association whitepaper. This is due in part to the ease of ordering extra toppings. Throw in incentives for mobile ordering, like seamless integration with loyalty program points. Customers are far more motivated to use the app. And if they’re ordering more while doing so, that can only have benefits for your restaurant. Of course, the key term here is that mobile ordering must be done right. That means paying attention not only to the design of the platform, but also to ensuring that the pickup experience is smooth; lose too many orders or force customers to wait for orders they placed long before they left their houses, and you’ll lose more customers than you’ll gain. Mobile POS. Even when customers are dining in the restaurant, mobile technology is increasingly ruling the day. The reason: streamlining of the ordering experience. When servers can place orders right at the table, rather than running back and forth between a table and the kitchen or a POS system, they can spend more time on the more human side of customer service, i.e. inquiring after meals, filling up water glasses, and chatting with customers. With zero lag time between placement of an order and the beginning of its fulfillment, restaurants can more quickly turn tables over, while also improving the customer experience. And there’s less room for error due to poor handwriting or mishearing a customer’s order. Mobile payments. According to a survey conducted by the Federal Reserve, 28% of respondent smartphone users made a mobile payment in 2015. That’s a good and impressive number, but it’s not quite as landmark as many in the industry had hoped. While still growing in popularity, mobile wallet options like ApplePay, GooglePay and SamsungPay haven’t been adopted quite as quickly as some at first predicted. Much of that has to do with customer concerns about security and with a broader cultural shift that needs to happen before it becomes a go-to form of payment. Still, all signs show that use of mobile payments will steadily increase. Especially as it is accepted at more vendors. Whether or not that makes mobile pay worth accepting in your restaurant is a more nuanced question. It might be worth it, for instance, if it’s a feature in your restaurant app, and you’re using it to keep your customer in your app ecosystem. More than that, however, you’ll want to look at the behavior of your customer. Rural customers, for instance seem to be less interested in mobile payments. So if you’re located outside an urban core, mobile payments may be less pressing to implement. If you’re wondering whether or not mobile payments is right for you, you might try simply asking your customers and listening. If you frequently get requests for mobile checkout, then that’s an excellent sign it’s time to start offering it. For many customers, one of the most frustrating aspects of the dining experience is the pre-dining wait. This is the curse of popularity, and it can be strain on the staff, on your parking lots, and on your waiting spaces. In place of traditional waiting coaster pagers and buzzers, wait list apps are a vast improvement to the waiting experience. With them, customers will feel like they’re wasting less time as they’re free to play around on their phones. They prefer this rather than staring at their buzzer — the equivalent of waiting for a pot to boil. Pagers can be expensive to buy and replace, whereas mobile wait list apps require only the initial purchase. Wait list apps also sync seamlessly with the host or hostess’ master list. There is no need for extra time spent on Organization. Some wait lists apps also offer customers to get on the list before they even arrive at the restaurant. That saves them time and you space. Finally, wait lists can be a great way to snag customer information. Then you can try to funnel them into your proprietary app. Apps can be a great way not only to improve your customer experience. I can also to get customers engaging deeply with your brand. For online ordering and payments. Apps, rather than web order and checkout carts, can create a more streamlined ordering and payment process. Especially for frequent customers who don’t mind storing their payment information with you. To offer loyalty rewards. Points towards a purchase, “cash” that the customer can only use at your store, coupons, and free products. These are just a few great incentives to offer customers who use your app. You also might consider taking advantage of location services that can offer specific loyalty perks when a customer is nearby. To offer giftcards. It’s also a good idea to offer easily giveable gift cards so customers can loop in their friends and family. To engage users with content. You need the right time and budget, creating content within your app. That is another great way to keep customers engaged with your brand. This could be as intensive as a game. Or it could be as simple as blogposts that relate to your brand. For example letters from the chef, or ways to make cuisine that’s similar to yours. (Though nothing should beat the real thing!). However, it should be noted apps on their own won’t necessarily be a success for your restaurant. While customers increasingly engage with apps on mobile platforms, there is a limit to how many apps a customer will engage with at any given time. That may be why apps for bigger brands that customers already engage with regularly have had a better time at user adoption than smaller restaurants. Both Starbucks and Dunkin Doughnuts are great examples of this. They both offer the type of food and beverages that many customers consume on a daily basis. In fact, Starbucks’s had so much success with their app, customers uploaded $1.5 billion dollars into their accounts in 2015. But that doesn’t mean that apps aren’t worth it for smaller brands. If building your own isn’t in the budget, then make the most of third party apps. A few examples are Yelp, OpenTable, Postmates, UberEats, and DoorDash. Consumers are already on these apps, using them in droves. All you have to do is plug and play. You won’t bring them into your ecosystem in the same way. You’ll still be offering them all of the convenience and information they need though. And that’s without having to build and manage your own app. For employers, the mobile platform offers a number of exciting opportunities. Just like customers, employees are increasingly using their smartphones to engage with both current and potential employers. In fact, 84% hourly workers own a smartphone and 69% own a tablet. That means that providing mobile solutions for your workforce will not only be convenient for you. But it will also be convenient for them, meaning you’re likely to increase the quality of the employee you attract as well as the levels of engagement. Scheduling. Scheduling hourly employees has long been a time-consuming hassle for employers. But recent innovations like on-call scheduling are not favorites of employees. Regulatory boards may soon deem them out of bounds too. With mobile scheduling software that automates scheduling based on set criterion, employers can spend less time creating the perfect shifts. And they can reach their employees instantly, who can also quickly respond using software that is in turn responsive to their needs. Recruiting. Today’s employees expect a rapid response from potential employers. And since they’re always on their phone, they want to be able to easily message employers to learn more about positions, and to apply through their devices. Ease of application is especially important to restaurant workers, as many need to apply to multiple jobs at one time. They also don’t want to waste their time on old technologies that are basically digitized versions of cumbersome paper-based applications. Training programs. Just as mobile technology is taking over our schools, it’s taking over employee training programs as well. And why shouldn’t they? Training programs are easiest for employees to access on their devices. Mobile programs are great not only for providing proactive training. It also provides remedial training when an employee is looking for help right in the middle of a tough situation. The mobile platform also makes it easy for employers to update training materials and push it out to all employees, rather than having to deal with updates to paper booklets. With customers and employees alike engaging deeply with mobile platforms, it makes sense for restaurant owners and managers to make their operations as mobile-friendly as possible. Whether you’re offering quick and easy ordering and payment solutions, giving wait time misery the boot, inviting customers into your app ecosystem, or communicating with employees, the mobile platform is quick, easy, comprehensive, and engaging.